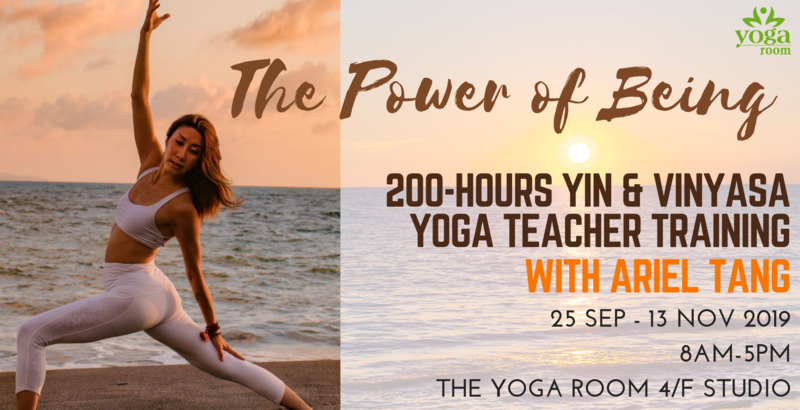 The Power of Being – Yin & Vinyasa Yoga Teacher Training with Ariel Tang is not simply a 200-hr Yoga Alliance Accredited Teacher Training. It is a journey of personal growth and self-awakening. With her eclectic background in both yin and yang styles of yoga, Taoism, healing, yoga anatomy, fitness, business, marketing, leadership and personal transformation (details in bio), you will learn how to lead effective and transformative yoga classes, deepen your practice and understanding, be inspired to continue to learn and serve, be of service to people of various levels and needs. Living as a Modern Yogi – How to Apply Ancient Wisdom in the Modern World? With over 1500 hours of training under belt and continued building, Ariel never stops learning and growing. She is an E-RYT500 (Experienced Yoga Teacher at 500-hr level) with Yoga Alliance US, and a Certified Jivamukti Yoga Teacher, and has been teaching yoga since 2009. Drawing on her eclectic interests and fields of knowledge – Yin, Jivamukti, vinyasa, yoga anatomy, Reiki Healing, Chi Nei Tsang (Taoist Abdominal Massage), CranioSacral Therapy and Lagree Fitness, she shares with a delicate balance of effort and grace; functionality and spirituality. At 2017’s Evolution Asia Yoga Conference, she felt honored to assist Jivamukti Yoga’s co-founders Sharon Gannon and David Life. From 2015 to 2017, she was a Lululemon ambassador and represented Hong Kong in Lululemon’s Global Ambassadors Summit in Whistler, Canada in 2016. She has also been featured in various magazines such as Harper’s Bazaar, Hong Kong Tatler, U Magazine and MOVE. You will also see her teaching and/or performing at various yoga festivals and conferences. The dream life she is living now is quite a long way from her economics and finance background. She is deeply grateful for the teachings and inspirations from her teachers Paul and Suzee Grilley, Sharon Gannon and David Life, Tiffany Cruikshank, Sarah Powers, Janet Lau, Janice Clarfield, QiGong & Taoist master Mantak Chia, Reiki masters Chantal Phillips, Isabella Summers and Matt Shum, and all the students she has the honor to share her practice with.